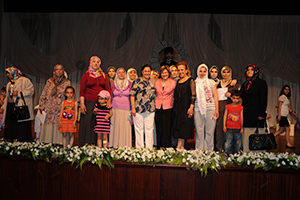 Hüseyin ŞİMŞEK, the founder of Marmara Education Institutions initiated the educational activities in 1985 with the motto ‘FROM KINDERGARTEN TO UNIVERSITY’; this initiation constituted strong educational service chain by success links and took its active place in Turkish National Education. In order to found the last link of the chain in other words the University, İSTANBUL MARMARA EDUCATION FOUNDATION (İMEV) commenced operations in 1 November 1996 and the targeted motto ‘FROM KINDERGARTEN TO UNIVERSITY’ was realized; and T.C. Maltepe University was opened in 1997-1998 academic year. Our University is devoted to Principles and Reforms of Atatürk, modern in science with free thinking. İMEV consulted for 30 children between the age of 11-16 who are the victims of 17 August Marmara Earthquake and who lost their families to provide education at Bodrum Marmara College. All the expenses of 8 students who are earthquake victims until the academic education is completed are covered by İMEV and the students are provided with the education at Marmara Education Institutions. Besides the earthquake victims, the students who are successful however having inefficient economic status for education are supported with various scholarships. İMEV, carrying out ‘National Education Support Projects’ initiated by Semra SEZER in 2001 with the expert administrators and teachers taught 1500 trainee how to read and write and supported many of them to have primary school diploma, and provided employment opportunity by opening vocational workshops. It carried out “Adaptation to Urban Life Project” with the non-governmental organizations. Moreover ‘Be the hope for a student’ project initiated by İMEV volunteers in 2005 has been carried out with many activities. İMEV carries out the health services for public within the scope of activity programmes in cooperation with Maltepe University Faculty of Medicine and Faculty of Arts and Science. Moreover it tries to provide solutions for the problems including women’s health, family planning, first aid, oral and dental health, general health in the districts especially resided by the people with low economic status.